Now, we think motorcycles are great. But not everyone agrees, largely because they’re dirty, loud, and polluting. Not to mention the underlying classism and political implications involved in owning a motorcycle in 2019. Um, what? Let's break this down, piece by piece. Dirty: Any machine utilizing gasoline, oil, and other lubricants is not going to be squeaky clean. Even an electric motorcycle is going to need the occasional chain or bearing lube. Most owners actually go out of their way to keep their rides looking shiny and clean. Loud: Okay, we have to hand Field Mag this one because of the strong "Loud Pipes Save Lives" crowd. There's nothing wrong with a pleasing aftermarket exhaust note, as long as it's not too loud. If only one out of ten bikes have loud pipes, though, those are the bikes that are going to bother people, not the majority of us with reasonably quiet exhausts. That gives all of us a bad name. This assumption by Field Mag proves the point. Polluting: Today's bikes are fuel-injected and highly computerized specifically to control emissions. While the U.S. isn't big on testing motorcycle emissions, Europe is, with its Euro 4 and 5 standards driving some older models out of existence worldwide. Two-stroke smoke is virtually a thing of the past, and a decently tuned motorcycle should have no smoke pouring out the tailpipe. Maybe the assumption of pollution is tied into the loud pipes, in non-riders' minds. Classism: Again, I can see a case for this impression, even if I don't agree with it. Some may perceive it to be "classist" to own anything besides basic transportation for getting to work or the grocery store. You must have at least a little disposable income to afford a second vehicle, particularly one as relatively impractical as a motorcycle. You need a great deal of disposable income to afford a $27,489 Harley-Davidson Road Glide Special. That's more than I paid for my Subaru WRX, which itself isn't exactly a basic commuter car. On the flip side, though, it's easy to get into an older bike, especially if you're handy at turning a wrench. Nearly all of my motorcycles have been Universal Japanese Motorcycles from the early 1980s. All of my bikes, except for my Honda PC800, cost me less than four figures. Sure, they're old clunky, and heavy by today's standards, and four carburetors are more difficult to keep in line than modern fuel injection. The wide availability of older bikes with low mileage means that practically anyone who wants to hop on two wheels can do so. It may not be your dream bike, but having a bike, any bike, is better than not having one at all. Political implications: I suppose if you combine all of the previous criticisms, you end up with a stereotype of a man (yes, in this particular stereotype it's always a man) who's brash, dirty, and elitist on his $27,000 motorcycle. 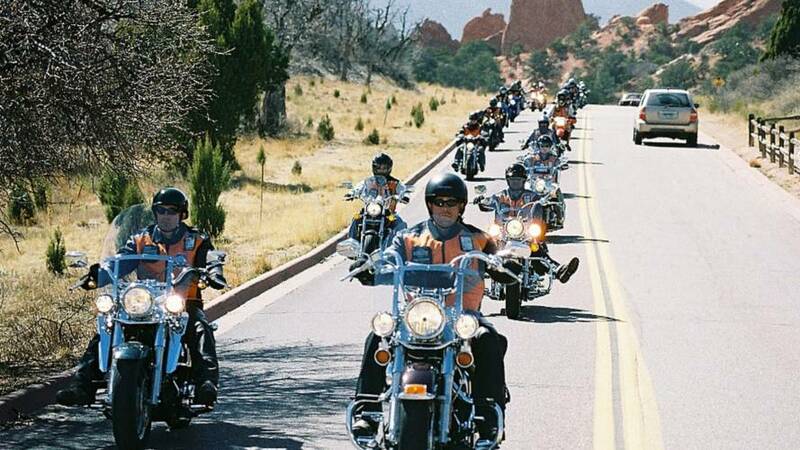 Politics in general and motorcycles are intertwined as well, with President Trump's controversial policies driving some Harley die-hards to switch to Indians, for example. The riders I've met, though, run the gamut from die-hard Trump supporters to fans of Bernie Sanders, as well as everyone in between. Some of my bike night friends lean toward the opposite end of the political spectrum from me, but for the most part, we agree to disagree on politics and focus on the bikes instead. We certainly agree on our love of motorcycles. Society, in general, could learn a lesson from us, I think. While this quote from the Field Mag review is a tiny snippet of a viewpoint other than the author's, and completely beside the point of the review itself, it's an interesting perspective of how people who aren't motorcycle enthusiasts like us look at motorcycling in general. The reviewer enjoyed the Kalk for its riding experience and the eco-friendly benefits of an electric motorcycle. Perhaps in the future, electric bikes may increase the appeal of motorcycles, particularly among younger riders, as they fight stereotypes like these that portray us inaccurately.